There’s a reason why gold is one of our brand colors! 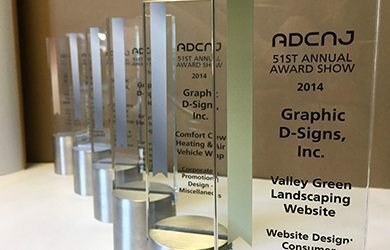 Through the years, we’ve won hundreds of awards for logo, web and brochure design. Sure, it’s exciting. But it’s not what drives us. Instead, we’re passionate about using our creativity and bold strategies to power your success. Our greatest satisfaction is that our fame translates into your fortune. And if our work catches the eye of peers and decision makers in the process, that’s even better. 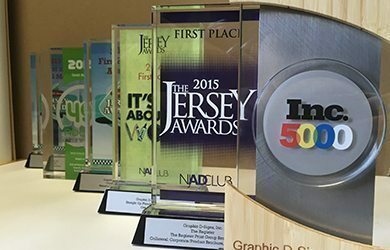 In addition to our awards and honors, we’ve been featured in The Star-Ledger newspaper, SignCraft Magazine, Lawn and Landscape Magazine, Entrepreneur, and a number of other industry trade publications. 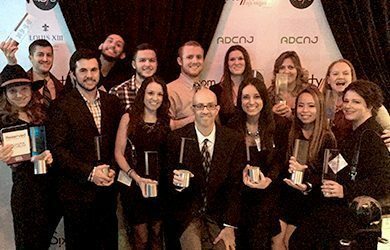 We consider our leadership position in small business marketing and advertising to be one of our greatest accomplishments—and we’re just getting started! President Dan Antonelli is a regular columnist for SignCraft Magazine and has published more than 60 articles on logo design, graphic design and related creative topics. But Dan is valued for more than just his standout design work. He is consistently sought out to present workshops and has accepted numerous speaking engagements over the past decade. Many publications have quoted Dan as a branding expert for his keen insight on developing successful brands, marketing to specific demographic segments and creating small business logos.